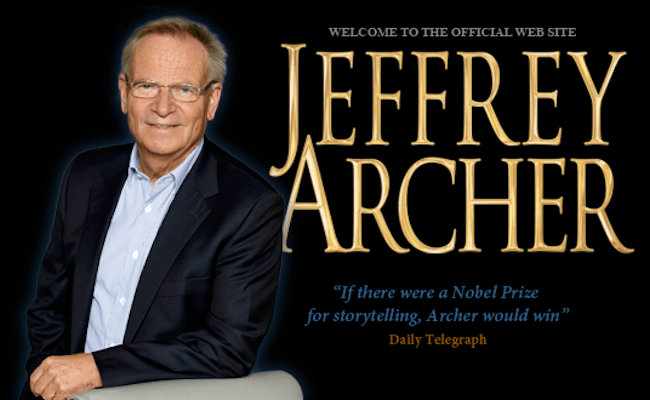 Jeffrey Archer firmly established himself as a literary force with the publication of his first novel, Not A Penny More, Not A Penny Less, in 1975. Now, 35 years later, Jeffrey continues to defy his critics and delight his fans. His most recent collection of short stories, And Thereby Hangs a Tale, is now available in paperback. He is currently working on a five-part series of novels entitled The Clifton Chronicles. In addition to his books and short stories, Jeffrey also turned his storytelling talents to The Gospel According to Judas, by Benjamin Iscariot, written in collaboration with eminent Australian biblical scholar, Professor Francis J Moloney. This thought-provoking retelling of the Judas Iscariot story offered a unique account of Christ's betrayer and received critical acclaim.